Artist EDK260 8 Piece Electronic Drum Kit with Stool and Headphones. Model:- EDK260. This is an 8 piece drum kit. The snare pad features a dual-trigger so that you can assign different sounds to the center and the rim of the pad. Model :- DSM5AN. Great value. Or use the harder wearing Oak sticks that last much longer. Size :- 5A. Wood :- Maple. © Artist Guitars Pty Ltd. AUSTRALIA WIDE. The Tech Features. Model:- BPTW2000. The Artist BPTW 2000 is our High Grade Double Kick Pedal. Dual chain for strength and fast responsiveness. Includes a drum key and allen keys. © Artist Guitars Pty Ltd. Adjustable length on the shaft with 4 screws to lock it tightly in place. Model :- DSM7A. Great value. Or use the harder wearing Oak sticks that last much longer. Size :- 7A. Wood :- Maple. © Artist Guitars Pty Ltd. Quantity :- 12 Pairs. Pair 3 : Similar size to a traditional 5B stick. 4mm inner rod surrounded by 26 smaller, hand dyed outer rods. 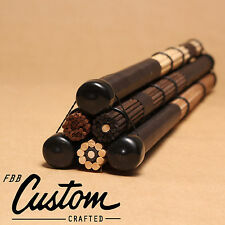 Nine 4mm rods wrapped around a thicker wrapped rod core. Protected cymbal impact zone: the big daddy! Children's 4 Piece Drum Kit:This is a real drum kit, suitable for children from 3 to 8 years. The bass drum is around 32cm diameter. 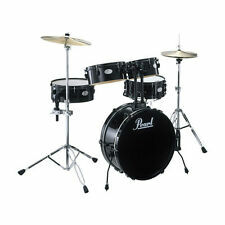 This kit features 2 tom drums, bass drum, and a snare drum - the snare is free of the bass drum - and comes with a stool. Supplied with drum sticks. The height from the ground is 50cm for the side drum.Cymbal height can be adjusted to 65cm. Drum Power. Drum Power Music Factory. While all care is taken, any errors or omissions in the item details are unintentional. SAT 9:30am - 5:00pm SUN: CLOSED. Bayswater VIC 3153. Ideal for fast drumming or lighter types of music such as jazz, latin and combo playing. Sub-type: Maple Drum Sticks. 1 Pair Maple Drum Sticks. These high quality drum sticks are ideal for all types of drum kits and all levels of ability. Model :- DSM5A. Great value. Or use the harder wearing Oak sticks that last much longer. Size :- 5A. Wood :- Maple. Quantity :- 12 Pairs. © Artist Guitars Pty Ltd. The Tech Features. 17 Keys Kalimba African Solid Mahogany Wood Thumb Piano Finger Percussion Gifts. Kalimba size(L W H): 18.3cm x 13.5cm x 3.3cm. -The kalimba body is made of high-end luxury mahogany wood, so the sound quality is more clear and ethereal. The possibilities are endless, by simply moving the damper pad around the surface, you can eliminate any unwanted resonance, and obtain the exact sound the situation demands. The damper pad is washable and will retain its stickiness for years of service. Style:jazz drum stick, good quality. material: wood. eBay Store Details Payment Shipping About Us MAJOR BRANDS Plus many more brands in our SHOWROOM DETAILS Open: MON-FRI 10:00am - 5:30pm SAT 9:30am - 5:00pm SUN: CLOSED Factory: 2/55 Malvern St Bayswater VIC 3153, Australia SECURE SHOPPING Shop with peace of mind Secured by 128-Bit SSL Strong Encryption Tama Non Slip Drum Carpet Rug Mat 2000 x 1800cm Oriental Tama Pattern Details TAMA LOGO TDR-OR NON SLIP DRUM RUG 2M X 1.8M ORIENTAL PATTERN Note: Free Freight Applies to VIC, SA, NSW, ACT and SE QLD Only. Please Contact Us For A Freight Quote In All Other Areas. -Non-slip desi. Model:- SW1442. 14" High Quality 42 Strand Snare Wire. Great for a loud angry snare sounds. About this Snare Wire. © Artist Guitars Pty Ltd. AUSTRALIA WIDE. Tech Specs. Mics & Recording. Drumskool D2 PORTABLE ELECTRONIC DRUM KIT with INCLUDED ONLINE DRUM TUTORIALS. Smartphone Connectivity! - connect your phone and learn how to play with ourincluded Drumskool beginner drum tutorials, or play along to your favourite tunes! eBay Store Details Payment Shipping About Us MAJOR BRANDS Plus many more brands in our SHOWROOM DETAILS Open: MON-FRI 10:00am - 5:30pm SAT 9:30am - 5:00pm SUN: CLOSED Factory: 2/55 Malvern St Bayswater VIC 3153, Australia SECURE SHOPPING Shop with peace of mind Secured by 128-Bit SSL Strong Encryption Tama Non Slip Drum Carpet Rug Mat 2000 x 1800cm Black Logo Details TAMA LOGO TDR-TL NON SLIP DRUM RUG 2M X 1.8M Note: Free Freight Applies to VIC, SA, NSW, ACT and SE QLD Only. Please Contact Us For A Freight Quote In All Other Areas. -Non-slip design helps keep drums & hardwa. DP Drums PD-6A Double Bass Drum Pedal Dual Chain Double pedal manufactured using a combination of the best design features. Base plates on both sides ensure stability while the special heel hinge with absolutely no side movement of footplate ensure the utmost stability and smoothness no matter how fast the playing. With its heavy-duty metal footplates and full baseplates, this is a solid pedal that will take plenty of punishment. The pedal features a double chain drive for smooth, consistent action, and the spring tension as well as the hoop clamps are fully adjustable. The pedal comes complete with 4-sided beaters. Experiment with felt or plastic surfaces as well as the adjustable counterweights to change the bound and rebound of each. Black singing bowl Chakra Set, hand-crafted in Nepal. This set is attuned to harmonise with the Seven Chakras of the human body, and to provoke the Kundalini both acoustically and visually, producing seven different chakra-related notes and representing the colours of the kundalini (black serpent). Muspor 17 Keys EQ Kalimba Solid Acacia Thumb Piano Electric Pickup Bag Cable. -Style: 17key EQ kalimba. 1 X Kalimba. -Material: Acacia. -You could play songs easily by pulling keys. A simple operation can learn a minute. Model :- DP1014. The DP series are resonant, snare side head (not suitable for top head use). They are made from thin 3 mil (0.076mm) DupontÂ® Mylar, designed to lie against the snare wires and produce a bright and resonant sound with good attack. Cajon MP985 Wooden Rhythm Box. Mano Percussion. MANO PERCUSSION -. with matching Carry Bag. Supplied with padded heavy duty nylon waterproof yarn carry. Natural f inish. Natural Finish. In the unlikely event that an item is lost, we will assist you all we can to find it but will need your help and understanding. eBay Store Details Payment Shipping About Us MAJOR BRANDS Plus many more brands in our SHOWROOM DETAILS Open: MON-FRI 10:00am - 5:30pm SAT 9:30am - 5:00pm SUN: CLOSED Factory: 2/55 Malvern St Bayswater VIC 3153, Australia SECURE SHOPPING Shop with peace of mind Secured by 128-Bit SSL Strong Encryption Heavy Duty Cymbal Stand Double Braced Legs Suits Crash China Splash Ride Details HEAVY DUTY STRAIGHT CYMBAL STAND DOUBLE BRACED - 5 YEAR WARRANTY Heavy duty double braced cymbal stand featuring height adjustment, 8mm cymbal wing nut, heavy duty rubber feet and ABS inserts on. ● H eadphone output, you can not disturb others practice. ● D rum using pedal simulation, hands and feet with more like real drum practice, well-trained hand and foot coordination. 2 x Foot pedal. 1 x Hand Roll Drum. Great for both indoor and outdoor play. 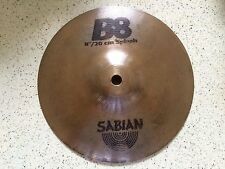 1 x Cymbal. Jazz Drum Set. 2 x Drum Stick. 1 x Bass Drum. Child Safe Design. Help to Improve Coordination Skill. For Children Age 3 . Model:- SST14. 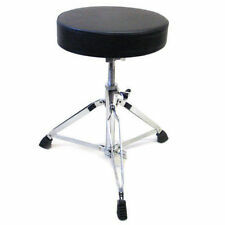 This is a quality Snare Drum Stand with single braced legs for a great price. Don't let it's low price fool you about its strength. This is a quality, sturdy, light weight snare stand. Rtom Moongel Rtom Clear Moongel drum dampen system gum pads 6 pkt RTOM MOONGEL CLEAR 6 PACK DRUM DAMPER PAD GUM SYSTEM The world's most highly acclaimed resonance control device ever designed, is effective, simple and versatile.When only the most effective means of controlling a percussion instrument's sound will do, percussionists turn to the Moongel Damper Pad . Includes 6 gum dampen pads per pack. This listing is for one pack. The self-adhesive gel sticks to the surface of drums, cymbals, and most percussion instruments. The possibilities are endless, by simply moving the damper pad around the surface, you can eliminate any unwanted resonance, and obtain the exact sound the situation demands.The damper pad is washable and will retain its stickiness for ye. Tonality: C tune. 1 Thumb Piano. You can make creative sound effect with the two sound holes at back. 1 Set of Musical Scale Stickers. 1 Carry Bag. Model :- DSM5B. Great value. Or use the harder wearing Oak sticks that last much longer. Size :- 5B. Wood :- Maple. Quantity :- 12 Pairs. © Artist Guitars Pty Ltd. The Tech Features. VIC FIRTH DRUM STICKS. 5A With Red Nylon Tip, Made Of Hickory In The USA. Made of Hickory in the U.S.A. Choice of either wood or nylon tip. The harmonic sound emitted by the singing bowl can not only help the body relax but also balance and harmonize the seven chakras of the human body. Material: singing copper. Size: (approx.). Music Nomad Cymbal Cleaner Protectant for Brilliant Finishes MN111 The stage lights come on and the glare of your cymbals mesmerizes the crowd. How smart you are for using MusicNomad's cymbal cleaner before the show. Our acid free, proprietary formulation is like no other product on the market for cleaning, restoring, polishing & protecting your cast and sheet bronze brilliant cymbals. Works great for proper cymbal care or your prized Zildjian, Paiste, Sabian, Meinl and other cymbal makers. We combine state-of-the-art cleaners with cutting edge formulation, resulting in unmatched performance and protection. It is fast in cutting through layers of dulling oxides and restoring a brilliant eye glaring polished shine. It even leaves behind an invisible prote. 2, Up to 9 pad including Bass Drum, Tom, Snare, Hi-Hat and Crash Cymbal. KONIX Roll Up Drum Kit W562. 4, With 7 different drum styles inside. 7, Micro USB port for power only. 9 Pad 2 Foot Pedal. Material: Silicone. Description: 100% Brand New and high quality. These egg maracas will give little ones hours of fun and will encourage toddlers' musical activities. Light and handy, carry around for performance Cute egg shapes and bright colors A toy brings your kids great fun and joy Play along with your favourite tunes or just shake your own fun rhythm Perfect for an early learning toy, toddler rhythm work, or classroom music Ideal for secondary pupils or primary pupils, toddler clubs, church groups, percussion ensembles, or even educational play Material: Plastic Length: Approx.5.7cm Note: The Colors of this sharpener are sent randomly . Model :- DSM7A. Artist DSM7A Maple Drum Sticks With Wood. Great value. Or use the harder wearing Oak sticks that last much longer. Size :- 7A. Wood :- Maple. © Artist Guitars Pty Ltd. AUSTRALIA WIDE. 1 x DKL-17 Kalimba. Tonality: C Key. Resonant Box Material: AAA Solid Mahogany. 1 x Carry Bag. Key Material: Carbon Steel. The Number of Keys: 17 Keys. 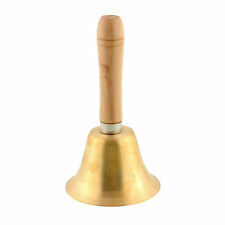 1 x Tuning Tool. (5) 6 independent drum plate around the LED aperture, quickly tap the power switch, there are 2 kinds of sparkling mode to choose, when struck the drum, the LED aperture shines, science and technology sense of dazzling. 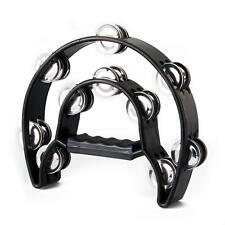 The foot tambourine is practical for kinds of acoustic music. 1 Foot Tambourine. The box drum shown in the picture is not included. Features elastic nylon strap and ergonomically curved for safely fixing it over your foot when you playing. eBay Store Details Payment Shipping About Us MAJOR BRANDS Plus many more brands in our SHOWROOM DETAILS Open: MON-FRI 10:00am - 5:30pm SAT 9:30am - 5:00pm SUN: CLOSED Factory: 2/55 Malvern St Bayswater VIC 3153, Australia SECURE SHOPPING Shop with peace of mind Secured by 128-Bit SSL Strong Encryption 12 X Pairs 5B Hickory Drum Sticks Wood Tips DP Drums DP5BW Click here to view Click here to view Details 12 X DP Drums 5B Wood Tip Hickory Drum Sticks 12 X P airs of 5B Sticks Hickory drum sticks are much more durable than maple sticks. Great value for the budget min. DP DRUMS PROFESSIONAL 6" STEEL COW BELL 10 Year Warranty DP DRUMS CB-6 PROFESSIONAL STEEL COW BELL Solidly built, professional sounding 6" steel cow bell. Features universal clamp with reliable 8mm thread attachment mechanism to suit L arm mounting post. Attaches easily ensuring no movement when tightened. 10 YEAR WARRANTY Features 10 Year Warranty Professional Sounding Cowbell Reliable 8mm Thread Attachment Mechanism Solid and Reliable Design DP Drums Quality. Model :- DSM5AN. Great value. Or use the harder wearing Oak sticks that last much longer. Wood :- Maple. Quantity :- 6 Pairs. © Artist Guitars Pty Ltd. AUSTRALIA WIDE. The Tech Features. PDH PDH Rock Size Muffle Tone Control O Ring pack 10 12 14 16 Drum Dampening PDH Rock Size Muffle Tone Control O Ring Pack 10 12 14 16 PDH uses mylar to construct their drum muffle rings for you to easily control unwanted overtones on your toms and snare drums. DPH O' Rings are a quick and easy way to help control your drum sounds whether you're playing live or in the studio. Each Ring is size for maximum control of the drum, relative to size. The bigger the drum, the thicker the ring to maximise control. Includes: 1x 10" Muffle Tone Control Ring 26mm Wide 1x 12" Muffle Tone Control Ring 38mm Wide 1x 14" Muffle Tone Control Ring 38mm Wide 1x 16" Muffle Tone Control Ring 51mm Wide. You could use headphone while playing so you won't disturb other people around. Floor drum with pedal simulation, hands and feet and use more like a real drum exercises, training good coordination of the hands and feet. Kalimba box 1. The tote design. finger cot 4. We will be. allows you to use it more conveniently and comfortably. It is strong and durable. Hand crafted and hand painted in different individual intricate designs. NOTE: As these are hand-crafted, each is a unique work of art and will have its own unique design varying slightly from the ones pictured. Antique Thadobati collectable singing bowl 7 inches, vintage, made in Nepal. Have you ever wanted to learn to play the drums? Or do you fancy yourself as more of hand percussion musician? With eBay’s incredibly diverse range of drums and percussion instruments, there’s no longer a reason to put off your dreams of learning to play an instrument. With so many to choose from the bigger question should be which one to start with? Imagine you’re listening to your favourite band. Perhaps it’s the Beatles, Queen, Foo Fighters or the Red Hot Chili Peppers. All these bands are known for their mind-blowing and unforgettable drummers. Now picture yourself rocking out to one of their songs, but you’re the one playing the drums. Don’t worry if you’re not in the market for a fully kitted out drum kit. 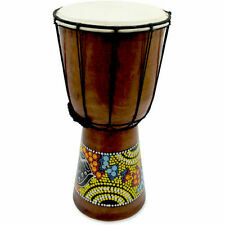 This range also includes Mini Bongo Drums, Snare Drums and many more. If you’re reading this and thinking that the drums aren’t for you, fear not. There is an expansive list of other hand-held percussion instruments for your enjoyment. There’s a lot more to choose from than just the triangle. Why not try your hand at a 17-key Thumb Piano or a Nepalese Singing Bowl which is traditionally used for meditation, relaxation and healing. More of a mover and shaker? Shake what your mother gave you with a set of large Maracas Rumba or a leather drum head Tambourine. Put on your favourite tunes and move to the beat- go ahead dance like nobody’s watching. Knowing how to play an instrument is an extremely satisfying skill to have. So, think no further about picking one up via eBay’s range of drums and percussion based instruments today.